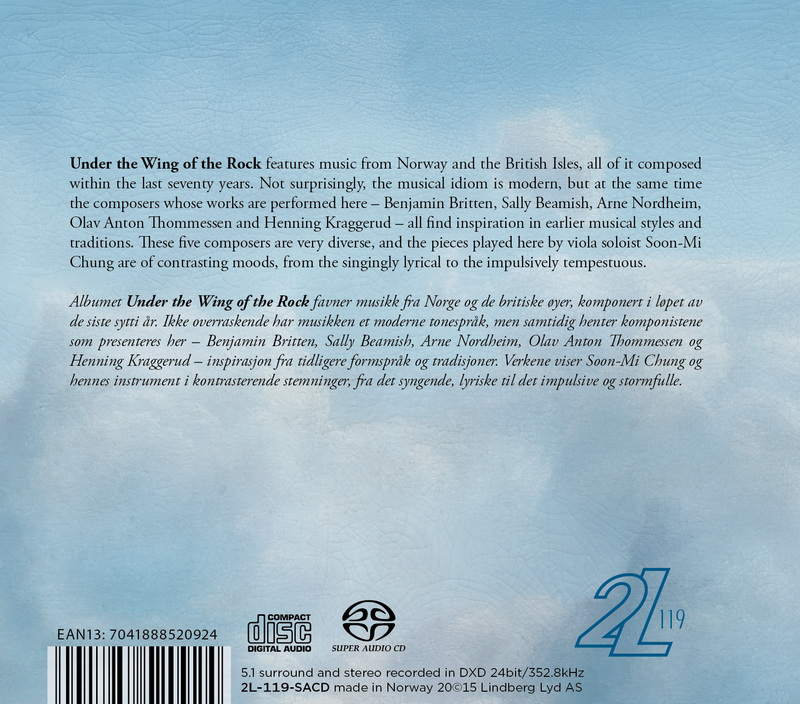 Under the Wing of the Rock features music from Norway and the British Isles, all of it composed within the last seventy years. 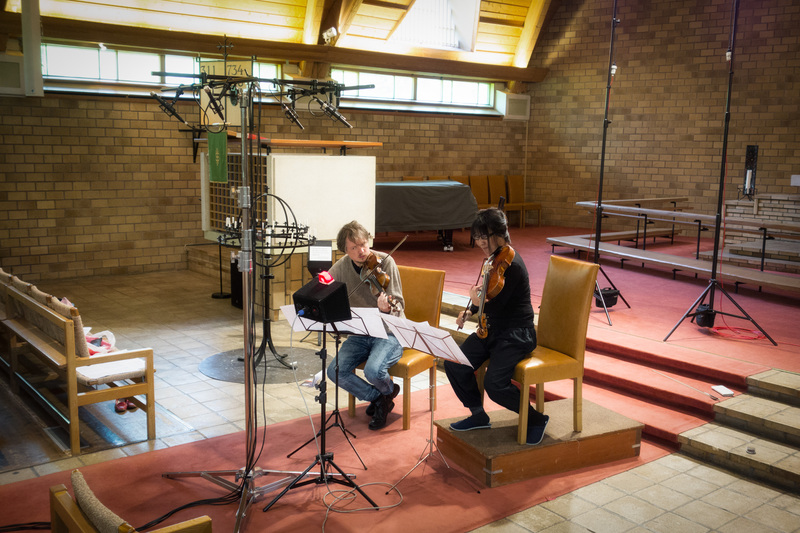 Not surprisingly, the musical idiom is modern, but at the same time the composers whose works are performed here – Benjamin Britten, Sally Beamish, Arne Nordheim, Olav Anton Thommessen and Henning Kraggerud – all find inspiration in earlier musical styles and traditions. 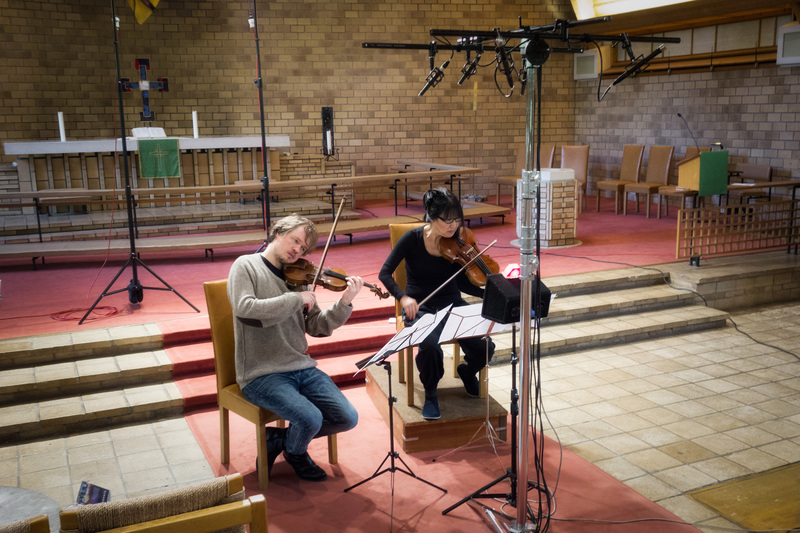 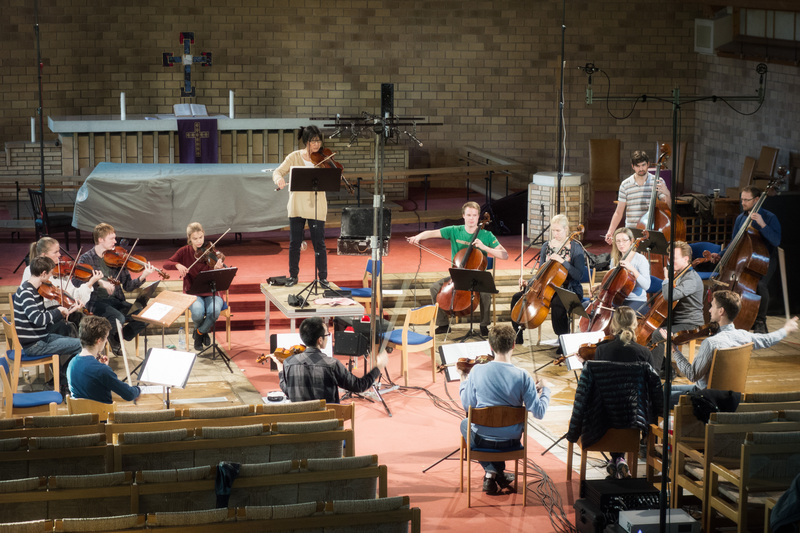 These five composers are very diverse, and the pieces played here by viola soloist Soon-Mi Chung are of contrasting moods, from the singingly lyrical to the impulsively tempestuous. 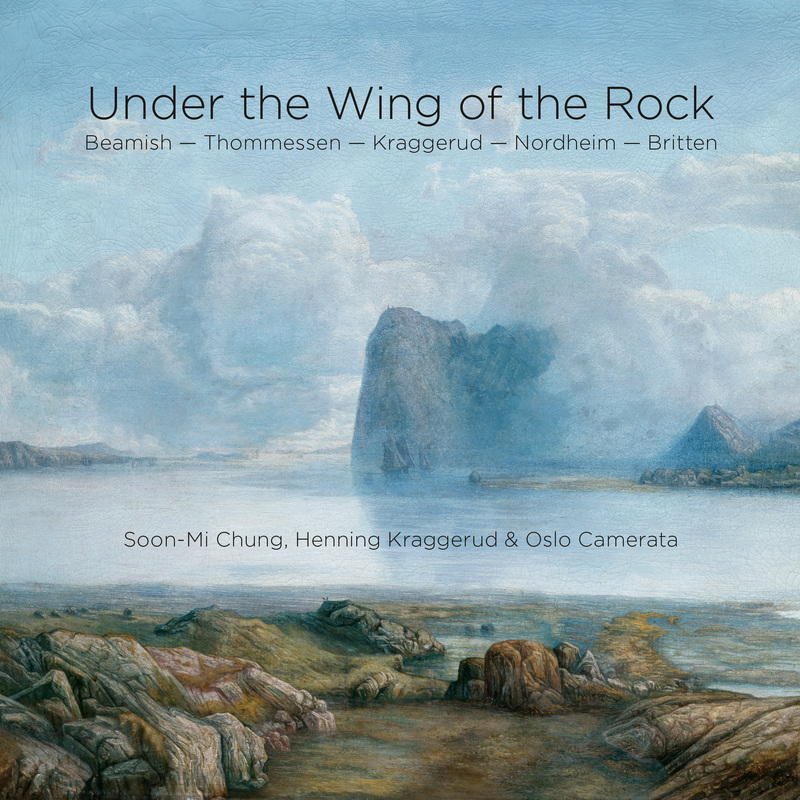 Albumet Under the Wing of the Rock favner musikk fra Norge og de britiske øyer, komponert i løpet av de siste sytti år. Ikke overraskende har musikken et moderne tonespråk, men samtidig henter komponistene som presenteres her – Benjamin Britten, Sally Beamish, Arne Nordheim, Olav Anton Thommessen og Henning Kraggerud – inspirasjon fra tidligere formspråk og tradisjoner. 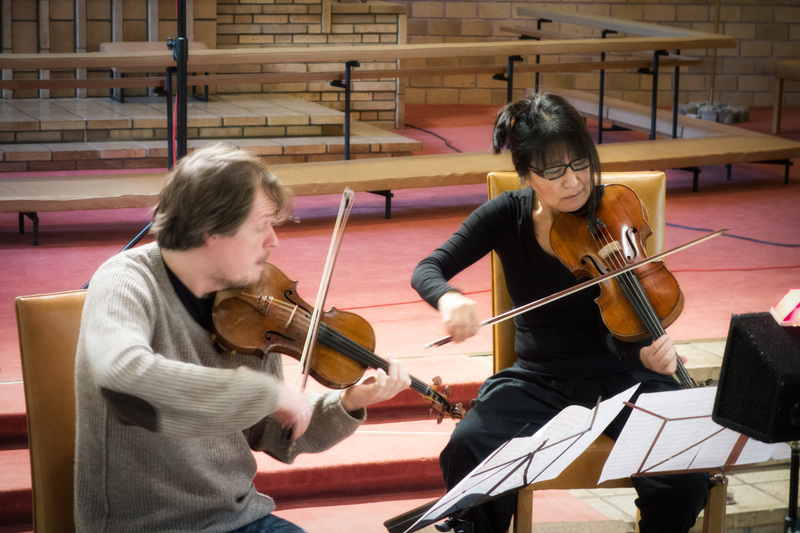 Verkene viser Soon-Mi Chung og hennes instrument i kontrasterende stemninger, fra det syngende, lyriske til det impulsive og stormfulle.